Help fix my customized a2cmd config! Moving On...  What happened with a2cmd? Last Friday evening, we released an updated d7II default custom apps profile (#58) for the default Emsisoft a2cmd custom app configurations, due to changes that company made to their portable app’s distribution, which caused failures with newer versions of their download/installer changes. If using any default custom apps, this update requires NO prior knowledge from the technician in usage/configuration, nor any adjustment of your customized auto mode profiles or other d7II configuration options. If using any non-default custom apps based on the affected ‘a2cmd’ configurations (e.g. “Save a Copy” button used to save modifications to a custom app’s config, and/or renamed to a new app, etc.) or for any other reason have a non-functional custom app using a2cmd.exe, then you should recreate your custom app based on what we have done for this update, if possible. Help fix my customized a2cmd config! Nothing beyond step 1 is necessary if you use our default apps configuration! You should only proceed with step 2 if you have a custom app that you copied/modified or created, which uses Emsisoft a2cmd, and is currently broken in any way (download failures, where automation is concerned, maybe you just can’t stop the user prompts for “installation” paths) then go to step 2! 1. Update to ensure Default Apps #58 (released late on 2017-02-03) If not updated, you should be notified at the lower status bar, and if not click d7II’s Main menu (top drop down) and then the “Check for Updates” menu item. 2. Find and select any of the Emsisoft a2cmd based custom apps in d7II Config on the Custom Apps tab. Note the search is ‘pattern’ style, so select the “Default Apps” radio button, then search for “a2” in the box above the list, and you should see all of them. 3. Ensure you have clicked the “New / Edit App” tab so you can see the “Save a Copy” button, and do that to create a copy of our updated configuration. 4. Update fields from your custom app to ours, taking care not to disturb (add/remove/modify) ANY settings on ANY tab before “Execution” and there starting only with the “App Command Line Parameters:” field. 5. If the command line parameters field from your existing custom app’s configuration ever differed at all from original, you’ll want to copy the changes you made to this new custom app based on our settings. I would strongly recommend pasting the entire configuration text field from both your original and the new custom apps into a text editor, or even just notepad.exe will do in a pinch 😉 The goal is to compare and ensure you have modified your parameters to utilize the different filenames (whitelist) and paths necessary in various parameters that you use. Paste the changes back in to the new custom app. Keep old custom app for reference? Modify all of your Auto Mode profiles (or copy to new) in d7II config to implement the new custom app in place of the old. Replace old custom app entirely? Find/select the custom apps from the “User Created Apps” radio button view, located above the left column in the Custom Apps tab; this ensures the appearance of the “Delete” and “Rename” buttons below the listbox where the app will be selected/highlighted. From d7II Config, delete the old custom app, after ensuring you have copied the name exactly! Rename the new custom app to the exact name of the old custom app. Some apps use batch files to accomplish extra tasks, and the setting for that is found in the configuration for the custom app under “Import Config Before Execution” which does some trickery many may not be aware of even with the mouse hover description. Designed initially to copy configuration files (e.g. .INI/.CFG/.DAT/etc.) or anything with specific settings for the custom app into the app directory prior to running the app, and in this way customized settings for different apps can be carried along and used with the same configuration even in a d7II dir that doesn’t have any 3rd party apps downloaded yet, or re-downloads/re-installs the custom app. Since it’s a dumb file copy, there isn’t much to say about the affect of this setting on .REG files (it doesn’t know what keys you configured or what to backup just by the import, so that isn’t done) and obviously the scripts aren’t usually dynamically changed, but if they were they would get updated/saved too, that’s just unlikely. Syntax is filename.ext without any path info, since it will always look in set paths relative to the d7II.exe file for them. I would strongly recommend rather than manually copying any default custom app configuration file [\CustomApps_d7II*. *] to instead use the “Save a Copy” button in d7II Config, when you find and select the app from the list on the Custom Apps tab, and then choose the New/Edit tab. Here’s why: Apps with the same name in the two different directories WILL confuse d7II auto mode profiles in a big way, so please don’t do that! This behavior is a side effect of the system used to intelligently find pieces of modified custom apps as necessary, as well as a limitation added from the configuration of other settings related to both the apps and d7II interface itself. d7x Update Tidbit: We do plan to work on removing this same-name app limitation using possibilities available in the new d7x platform code to replace older functionality that produces these limitations. More below! Please note that the “Save a Copy” button only saves the single Custom App configuration file to a new filename and perhaps there is another minor config modification, but it won’t create the [\CustomApps\3rd Party Configs] subdir for you, or copy any corresponding custom configuration or script from the [\CustomApps_d7II\3rd Party Configs] location. Instead d7II.exe will intelligently determine which location has the config as necessary. So a config for your copy will still be pulled from our maintained default apps storage, UNLESS you manually copy that to the new location. If the same file exists in both different 3rd Party Config directories, your custom one should take precedence currently, however (another let me verify this) but if not already, the behavior for this will likely be changed in the future to consider the last modified date of the file itself, and possibly other factors. With all that said, I’ll leave the batch file lesson itself in the file itself which contains a few good practices in the bits of code/syntax that should be commented well for the interested, including a section that retrieves d7II “Session” data from the registry (path info in this use case) that creates a whitelist for the Emsisoft a2cmd scanner to protect d7II and other custom applications from being targeted during the custom app’s run (a task actually being done for most any custom app providing the opportunity, and though some utilize per-path direct command line arguments, others allow a whitelist file to be generated, which is performed by this batch file. The largest concept here that you wouldn’t normally see, is the idea that the batch file used with the custom app is used BOTH as the config setting/script to run BEFORE the app, AND as the custom app itself, causing it to be run twice as part of the app’s execution, and with both executing prior to the app itself. For this custom app, we’ve chosen to configure this field from the “Execution” tab to actually launch our batch file (as well as the Pre-Execution tab’s “Import Config…” field) instead of the custom app’s main .EXE file. Since our batch file exists in your d7II configuration, and NOT anywhere you want to just host it and download from your own FTP/web server, then it isn’t a complete custom app. As such certain things must be satisfied to make it all come together, and it helps to have insight on a few little intricacies in how the spider web of d7II custom apps handles processing the order of certain config settings, such as the actions taken to get the apps setup/started and cleaned up later. For one, having the download URLs configured means that the app is always expected to be there (if not installed it will be) at least if internet access is to be had and/or the installer exists in your [\3rd Party Tools] dir… but there’s more to consider. Now the installers will normally download to our [\3rd Party Tools] dir, and that’s where we want the batch file to be, but you want a partial path/subdir of 3rd Party Tools else other issues can occur; it’s also can’t be in the final app path of [%systemdrive%\Emsisoft …..], which doesn’t exist until the installer completes. A [\3rd Party Tools\Emsisoft_a2cmd] subdir is created by the download syntax where the “Save As File” field will contain a filename with partial path (the subdir to create within 3rd Party Tools) which in this case was “Emsisoft_a2cmd\EmsisoftCommandlineScanner? ?.exe” Naturally keeping it different in the 32/64bit settings for filename, so they can co-exist, the same directory can be used, and the batch code simplified a little as well as the entire process. After this directory is created by the download, the installer setting is skipped, and the copy config setting triggers the first run of the batch file, which is copied to the directory created by the downloading of the necessary installer, and that only works because again, the batch file is configured as the custom app’s main path\exe. The concept works with logic contained within the batch file to act differently depending on how it was started, and this serves to prevent potential issues caused by the same tasks being performed twice; in this case it is a simple determination on whether or not the batch file was launched with any command line arguments/parameters. With NOTHING passed, it performs the config/batch (pre-app execution) functionality necessary. You may have previously seen the “Wait for App Termination & …” checkbox used with this app in the past, and since we’re running our own console window (for the batch file) which d7II must wait on, the batch file is configured to identify itself (for the tech using it) and also it launches a2cmd.exe with syntax designed to wait on the process. The potential problem with this is that the console window waiting on the custom app could be unknowingly closed by another app or accidentally closed by the tech manually, for whatever reason, at which point d7II would stop waiting on the closed console window. The next d7II action is to continue with any configured post-processing for this app, or the execution of other custom apps in a running auto mode profile, which could interfere with this app’s operation. Especially since it’s now “flying solo” and no longer part of anything d7II is paying attention to, many of d7II internal functions will cause problems as well, both manual and automated. To prevent the issue above an additional measure was added to keep automation smooth, and just below the “Wait…” checkbox you’ll see the text field to add additional process names that d7II can look for and wait on those processes to terminate as well, before moving on to anything that could interfere with this custom app… in this instance it will wait for the process named “a2cmd.exe” which is launched by the batch file, and of course that is the main executable for this custom app. Well a few reasons exist, but the convenience method here is that we don’t need multiple custom apps with chaining configured to do a few specific things, and these app profiles (if you use the defaults) we don’t want to replace the config with one using chained app configs, since you might need to re-think the setup – being a direct replacement design as we strive for with all default apps, no user (re)configuration of d7II should be required for the use or update of app itself nor the d7II auto mode profile order/arrangement. Namely the issues here stem from being able to run the installer for a2cmd first within the custom app config, a 32/64bit issue. Again, since this is a direct default apps replacement that shouldn’t require any user configuration changes, so separating 32/64bit app configs wasn’t a consideration. With 32/64bit installers, downloads were usually either spawned from the same exe or they are zipped separately, and as such, the somewhat limiting configuration for the installer field in a d7II custom app, which by default assumes only one exe name for any 32/64bit install. Keep in mind while separate zips might throw this off, they are usually saved under the same name or extracted to different locations or similar and a batch file, like the one we’re talking about, that carry out the installer based 32/64bit decisions and operations. It’s also important to note that even single file .EXE installers are either wrapped in or entirely consisting of just another form of compressed file like .ZIP that extracts itself, and sometimes you can save the file as .ZIP/.7z/.RAR/.LZH/.???/etc. More often than not this works without issue, but it was NOT the solution for this custom app update! See below! Moving On… What happened with a2cmd? What the Nullsoft installer will do, if configured to allow this at time of creation, is honor a silent extraction switch. The silent switch that pushes the app to the default directory as pre-configured by the creator (which is not uncommon among .EXE installer files, at least when the creator allows silent usage) but Nullsoft is a bit finicky, frustrating many with an requirement quite odd these days with similar tasks: it’s silent switch is “/S” (caps required) and not “/s” or “/Silent” or anything else you’ll find in dated or incorrect documentation and even some example scripts found here and there. The d7IIx binaries which will become the next d7II update are currently in a limited alpha testing, which is not freely open to all subscribers at this time. Big update/little news we realize, but you can learn more on the d7IIx Alpha page. 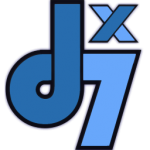 d7x Announcements (Feed) Includes all d7II/d7x news, Custom Apps, and Release Notes. d7x Custom Apps (Feed) Includes d7II/d7x related custom app information only.